Akbar and Akrum Sheikh both worked for their father’s Connecticut-based mattress business. Along with Aniqa Chohan, an award winning designer, they formed Layla Sleep. Most bed in a box mattresses offer a single comfort feel. Layla has opted to produced a flippable Memory Foam mattress with a soft and a firm side. Are you are a side sleeper who needs a little more softness and contouring for the shoulders and hips? Or do you lie on your back like a soldier and desire a firmer more structured alignment? Well, Layla has you both covered with flippable firmness built in! The result, two copper infused memory foam comfort options for one low price. Memory foam is known for being body conforming and pressure relieving. It is also known for retaining heat. When cooling gels were introduced, it was considered quite and advancement. However, Layla sleep felt this cooling action was limited and could be improved upon. The cooling action of Copper takes place closer to the surface of the mattress. Layla believes this results in a more effective cooling system. Copper was the first metal ever used by humans. Throughout history, its been used for tools, weapons, and jewelry. It is also thought to have health related benefits. In trace amounts, copper is present in the human body as a mineral. According to the Copper Development Association, it is essential to various bodily functions. Copper is also thought to kill and inhibit the growth of bacteria and other microorganisms. Bracelets made from copper have been worn through the ages. They were thought to alleviate pain and heal arthritic conditions. However, a study published in the Journal PLOS could not confirm a correlation between contact with copper and pain relief. Whether or not the presence of copper actually has far reaching health benefits is up for debate. Regardless, Layla still makes our best mattress under $1,000 list based on the criteria of support, comfort and price. Firm Side - This feel is ideal for back and stomach sleepers. It puts your body in proper alignment ​and conformity without being "too" soft. Soft Side - The soft side is a plush feel that provides side sleepers seeking ​more conformity and pressure relif for the shoulders and hips. Free Dilivery: ships in 2 - 3 business days​ to your doorstep. 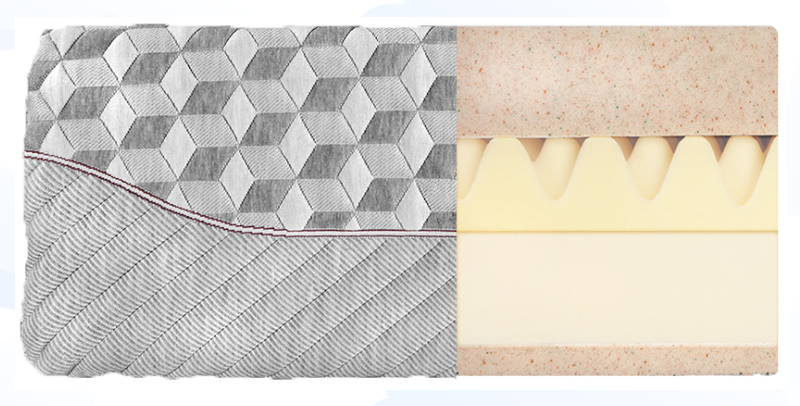 Layla Sleep will repair or replace original owners mattress ​if determined to be defective. By nature, we are skeptical people. Having spent nearly 20 years in the bedding industry, we've heard about a lot of amazing mattress warranties. we've also read a lot of cringe worthy fine print. So when we heard about Layla Sleep's Lifetime Warranty, we expected to see more of the same. After reading the disclaimer, we were pleasantly surprised. There was absolutely nothing out of the ordinary or questionable. Pretty much standard stuff for a mattress warranty. Don't stain it (use a decent waterproof mattress protector). Don't abuse it and keep it well supported with a good foundation and a solid frame. OK, their version was a little longer but essentially, those are the key elements. A decent frame typically implies a center support with legs on the floor. That is a standard requirement for anything bigger than a full size bed. A smooth solid surface is required for your mattress; such as a box spring or platform bed. Although this point gets debated a lot, we recommend always purchasing a new foundation. An older unit that sags may result cause your mattress to do the same. It's important to note, a manufacturer's warranty deals strictly with structural integrity, not comfort issues. We recommend you read Layla's full Warranty Disclaimer but we see no red flags here. Layla Sleep makes no claims of being organic or made of all natural materials. 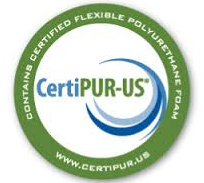 But, all foams used are CertiPUR-US® Certified. No ozone depleters, PBDEs, TDCPP or TCEP (”Tris”) flame retardants, mercury, lead, heavy metals or formaldehyde are used. ​120 Night Home Trial - After 2 weeks and before 4 months, your mattress can be returned for full refund. There are no shipping or return fees. As with any new mattress, we recommend giving your new bed a minimum of 30 days before making your decision to return it. There is an expected adjustment period with any new mattress. No mattress is right for everyone. You truly have to admire Layla Sleep for showing both favorable and unfavorable reviews on their site. Although most listed were quite pleased, Layla made it easy to click on the reviews of less than satisfied customers. They did not bury them beneath a sea of high praise. More importantly, they stand behind their comfort guarantee 100%. If not fully satisfied, Layla will pick up your mattress and refund your money in full. Layla offers an outstanding value, particularly if you prefer spring free mattress. You will find denser foams with more luxurious feels out there. But within this price bracket, Layla is hard to beat. Although copper infusion makes for an intriguing conversation, it's not the main reason you should by this mattress. The majority of customers reviewing this bed have found it sleeps cool and comfortable. Affordable quality backed with an unmatched warranty make Layla a great buy!